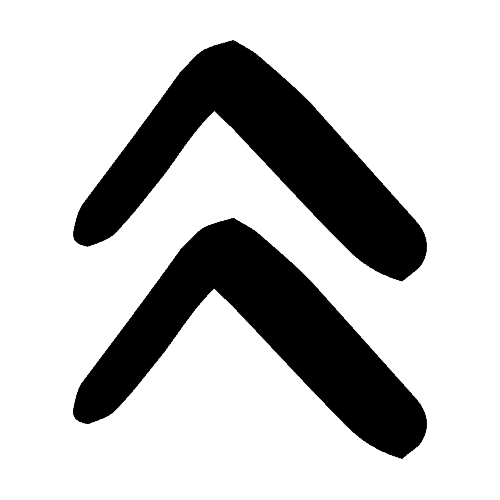 I always have readers asking me about how I cook every day for my family and still manage to run my blog full time. 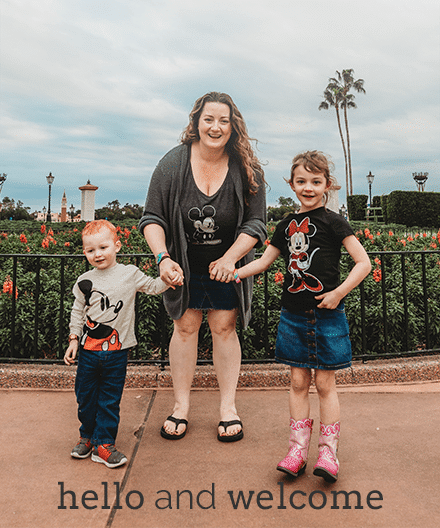 They are even more blown away when I share that my kids not only eat nearly everything I cook for them – they also love interesting foods like quinoa. Yes, really. My kids totally eat quinoa nearly every day – for breakfast, lunch, and/or dinner. Since we eat it so often, I'm always on the lookout for interesting flavor variations and the easiest possible cooking method. One of my favorite versions of quinoa is the bag-in-a-bag option that features several different blends. 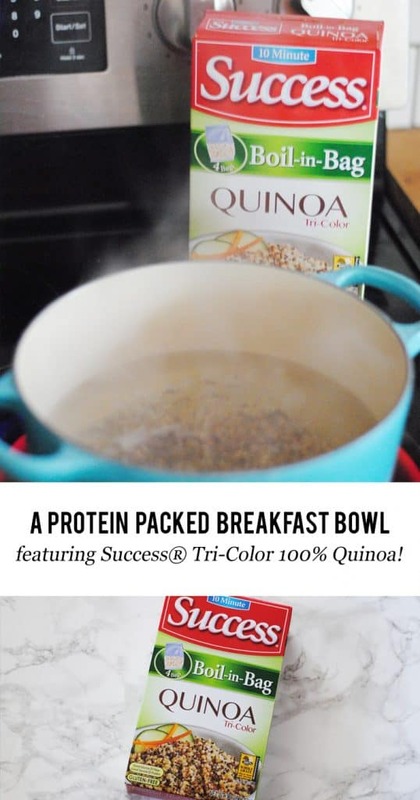 Like in one of my family's breakfast favorites – a protein packed breakfast bowl featuring Success® Tri-Color 100% Quinoa. Success is in the Bag®! Why do we like quinoa so much? It's a killer source of fiber and has a tasty nutty flavor that's not too heavy. In particular, I like the 100% Tri Color Quinoa from Success – it's a blend of white, red, and black quinoa that's super easy to cook thanks to its boil-in-a-bag packaging. Really! 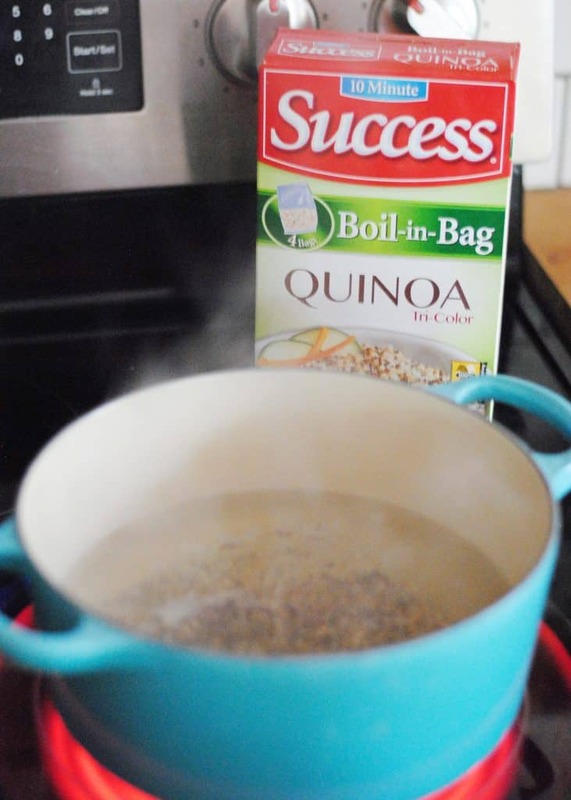 Success Quinoa is packaged in pre-portioned, BPA free boil-in-bags so it's easy to cook in only 10 minutes. Look, ma! No measure and no mess! I like to give my quinoa a little flavor boost by boiling it in fruit juice, broth, or milk depending on what dish I'm using it in. I use quinoa a lot as a way to add a little nutritious boost that my whole family enjoys. It’s super easy to make it up and incorporate in any meal. I think of it as a wholesome staple for anything that I serve at breakfast, lunch, or dinner. 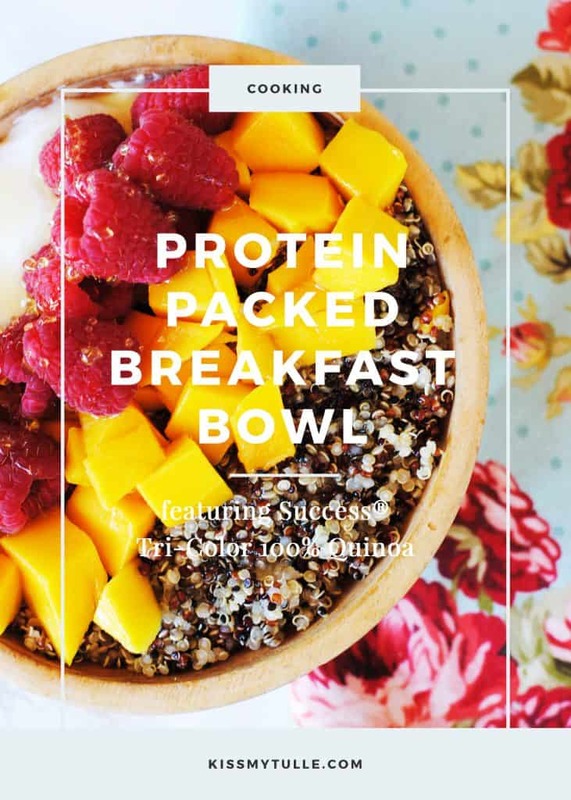 A simple-to-assemble and protein packed quinoa breakfast bowl featuring Success® Tri-Color 100% Quinoa. 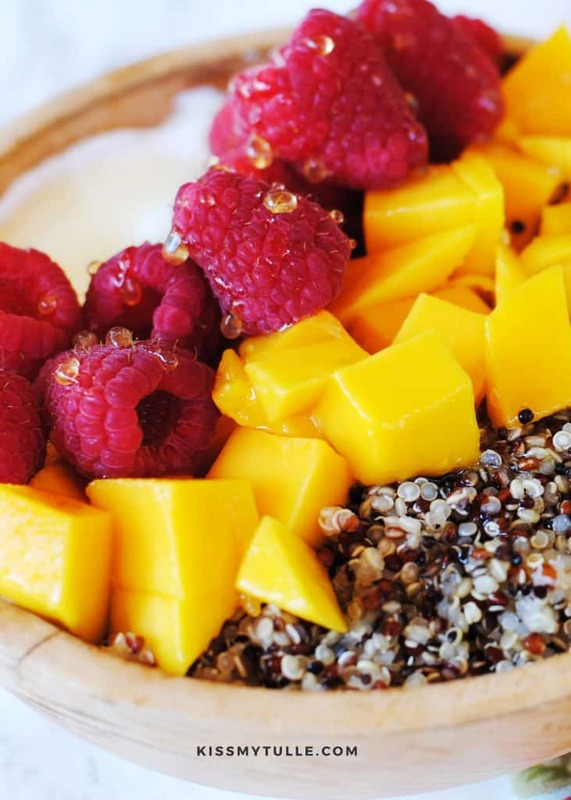 To get the most out of your breakfast bowl, be sure to pick up some Success Quinoa – it cooks perfectly every time! Ready to be inspired by quinoa? Click here for a wide variety of recipes that use quinoa as an entree, a side dish, and even a dessert!